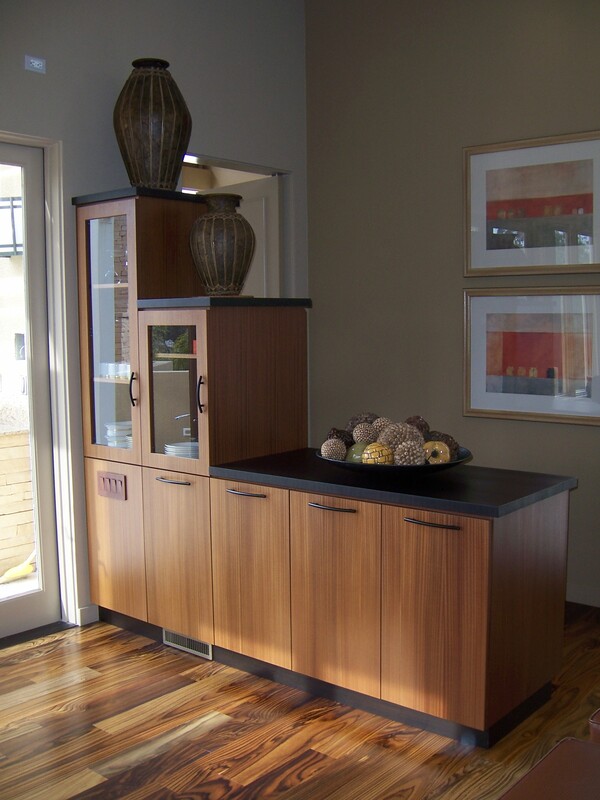 This Mission Hills remodel features a mix of three exotic wood veneers including sapele, figured eucalyptus, and dark wenge. 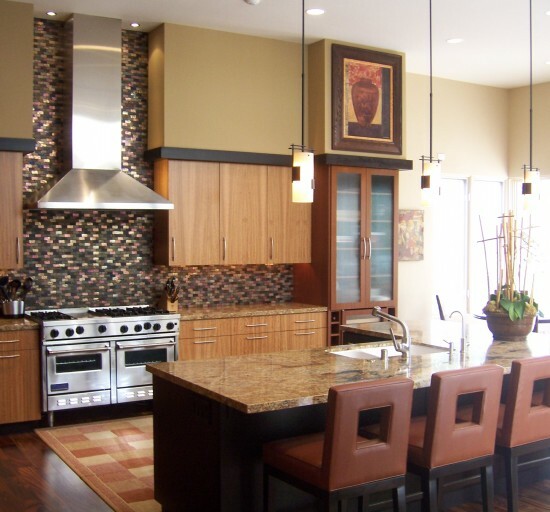 Custom cabinetry highlights include a Tansu-style storage buffet and a full-height paneled peninsula containing a fireplace, two TV’s, coffee bar, and a second refrigerator. 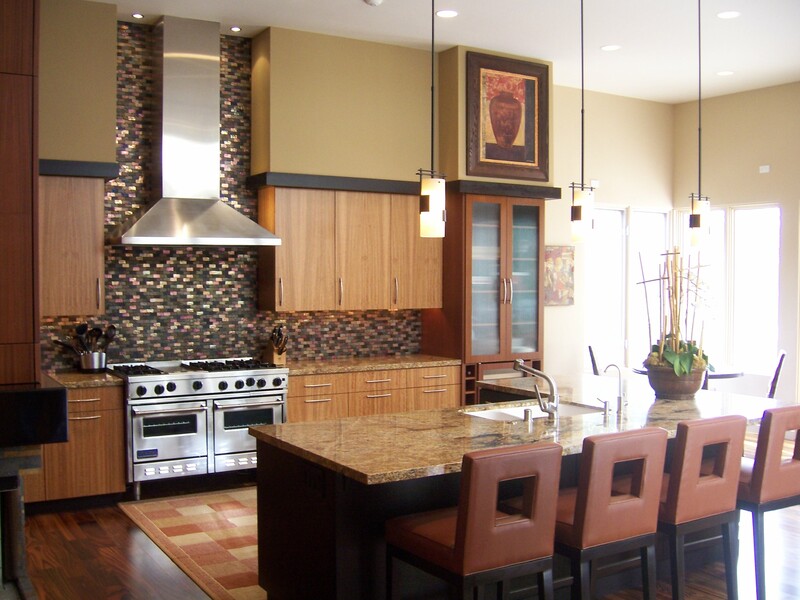 Designer Jim Walters surrounded the kitchen island with his custom Peek-A-Boo Barstools. 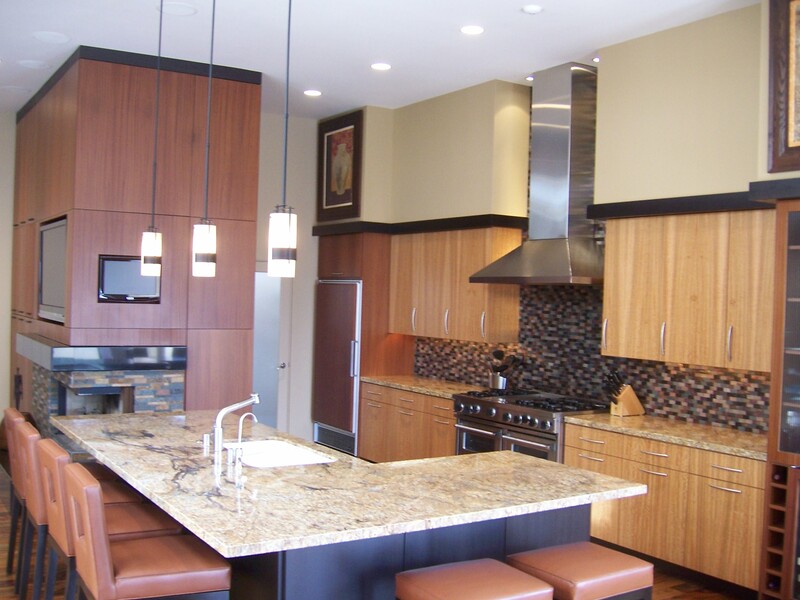 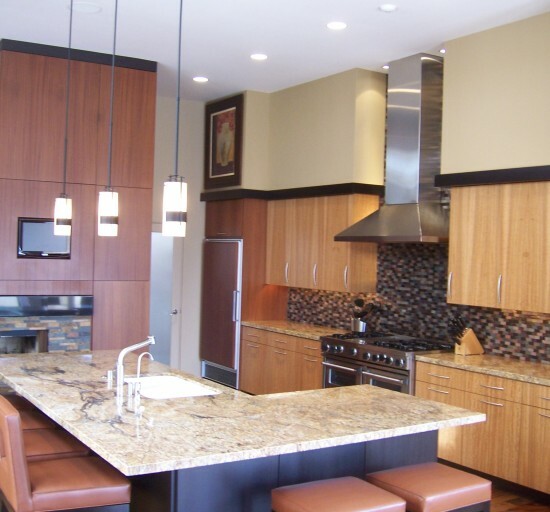 "This space was designed for both gourmet cooking and sophisticated entertaining. 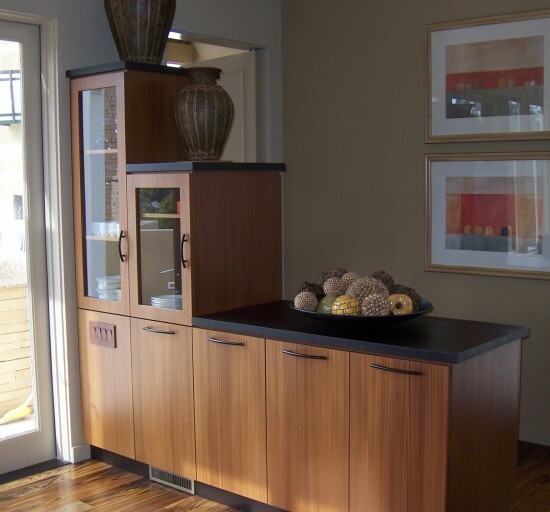 The combination of complimentary veneers adds visual diversity, and these rich materials all blend easily with the casual elegance of the adjoining gathering room."